Charlotte Benvie (exoticised to Carlotta to avoid clashing with other ‘Charlotte’s Chocolates’ in existence) trained with Master Chocolatier Ruth Hinks, and now makes hand-crafted chocolates and cake-pops from her home kitchen. 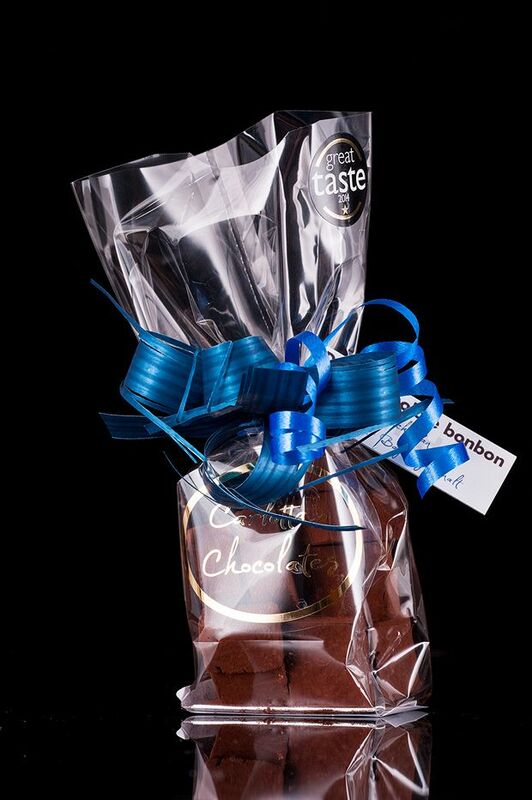 These include Great Taste awarded cocoa-dusted bon bons, in plain dark chocolate, strawberry or Kilhoman whisky. Truffles are her most popular line, hand-scooped, rolled and decorated, and cake pops take chocolate cake (gluten-free available) and buttercream, and smother it in more chocolate and embellishments. You can learn how to make them in a workshop hosted by Charlotte, or take it a bit further with an introductory day course in fine chocolate making. Listed in the Angus Larder and the Chocolate Larder – order print copies (free + p&p).